Previously, you read three design rules that are outdated and meant to be broken. 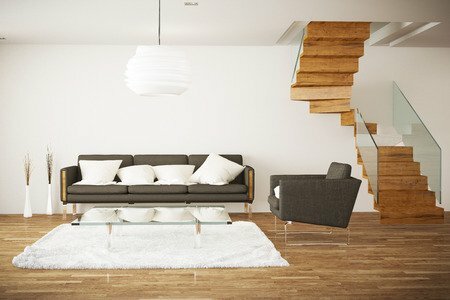 We are here to continue with three more rules that you can absolutely use in your home’s design. Let’s take a look! No. One: Neutrals are Bound to go with Everything. Unfortunately, this is not necessarily true. While decorating with neutrals can be easier than with other colors, it can also be kind of difficult. The issue with neutrals is their undertone. Sometimes the undertone can be so obvious that it smacks you in the face whereas other times, it can be extremely difficult to see the undertone. The problem with not being able to recognize the undertone starts when you begin pairing it with other colors. To help make sure that everything goes, we recommend keeping it simple with a warm tan or greige (gray + beige). These two colors truly go with everything and their versatility cannot be matched by all of the other neutrals. No. Two: Do Not Paint Your Ceilings. Having color on your ceilings is actually becoming a huge design trend. Your ceiling harvests an ample spot for color and design inspiration. While white is the most common color, we recommend taking it to the next level with a pop of color. You can showcase anything from black to bright pink. The options are truly endless, but we recommend utilizing a neutral wall color if you decide to do a colorful ceiling. This is where our favorites: warm tan or greige can come in handy! You can use one of these two neutral tones on the walls then match it with your favorite color on the ceiling. Voila, you have a beautiful and unique design. No. Three: Never Mix Patterns. Mixing patterns is actually one of our favorite design tricks. You can create a harmonious design with different patterns if mixed properly. We recommend giving yourself some time to get used to the concept. Mixing and matching patterns is easy once you learn the basics. Take some time to play around with different shapes, lines, and designs until you get the perfect mixture. Do not let a rule hold you back from your home’s potential. Everyone’s design is unique to their home. Do whatever makes you happy and everything else will fall in place.